En mí viaje a #Osorno #Chile aprendi que" los buenos no son tan buenos y que los malos no son tan malos." 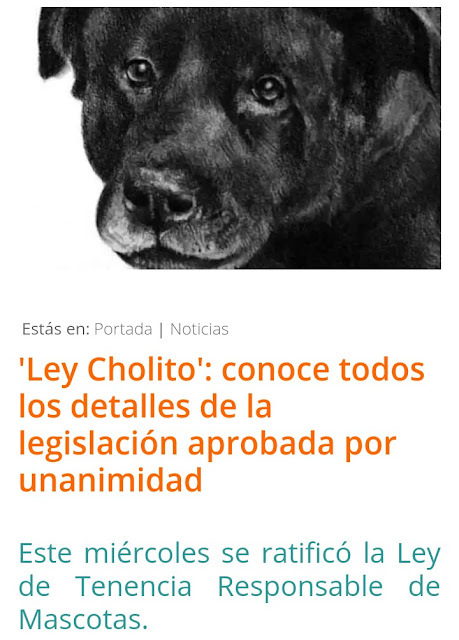 Y supe que hay una ley de tenencia responsable de los animales #LeyCholito,que fue aprobada,después de una lucha de 7 años ,el mes pasado.Se hizo justicia #Cholito. Disfruté de #Chile y saber de esta ley,hizo que mí viaje tuviera sentido. Most of the casino games. IBCbet An alternative to playing online gambling games. You will receive the highest level of online gambling online. With over 10 years of experience making it a trusted place for online gamblers across Asia. By providing the best casino network services that cater to the needs of gamblers at all times and places, with the risk of redeeming the indefinite gambler, the gambler enters. Gambling online casino G-club 69 we are very comfortable and fast as most as you have ever come across. We have original gambling games that we have made a great recruiting for gambling, especially casino gambling, roulette, slots, tigers, dragons, hype and many other games according to the preferences of each. More than 500 games to risk.